Tutorial includes selecting the best digital device, applications and music files. 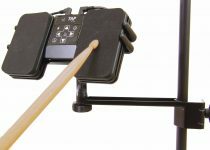 AirTurn, a leading manufacturer of wireless controllers for iPads, Mac and PC computers, and Android tablets, announced that co-founder Hugh Sung will present a Master Class workshop on "The Digital Sheet Music Revolution" in the H.O.T. (Hands-On Training) Zone at the 2014 National Association of Music Merchants Show in Anaheim, California. Mr. Sung's tutorial will take place on Thursday, January 23rd from 4:00 - 5:00 p.m. on Level 2 of the Anaheim Convention Center, room 202 A. He will teach musicians of all backgrounds and educators how to make an easy transition from paper to digital sheet music. 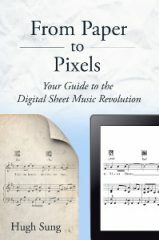 The tutorial will include how to select the ideal tablet or computer for reading digital sheet music, where to find the best applications and resources and how to load music into the digital device so it is ready to use. 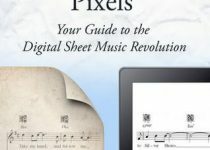 "With the exploding popularity of tablet computers like the iPad, digital sheet music has never been more accessible or practical," said Hugh Sung, co-founder of AirTurn, Inc. "Imagine being able to carry your entire music library with you wherever you go and locate any piece instantly. In addition to the convenience, a simple device like an AirTurn BT-105 wireless pedal added to the mix will allow hands-free page turning. Musicians and music teachers everywhere are discovering that digital music adds a level of confidence and simplicity to their professions." Hugh Sung is a pianist, author, and technology entrepreneur. Prior to co-founding AirTurn, Inc., Sung was a faculty member of the Curtis Institute of Music in Philadelphia. Founded in 2008 in Boulder, CO, AirTurn, Inc. (http://airturn.com) develops cutting edge tools to enhance the wireless human interface with tablets and computers. 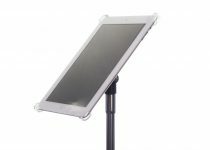 Musicians all over the world use AirTurn products to view and turn digital sheet music pages hands-free. 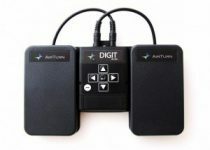 The company's growing community of over 150 partner developers is creating innovative applications for AirTurn's wireless controllers like the BT-105 foot pedal and the Digit page turners. AirTurn has also developed a family of mounts for mobile devices so they may be used in a hands-free mode for multiple applications. AirTurn, Inc. is the owner of the following trademarks and/or service marks: AirTurn, BT-105, DIGIT. All other trademarks are property of their respective owners.